This post contains affiliates links. For more information, click to see our disclosure policy. 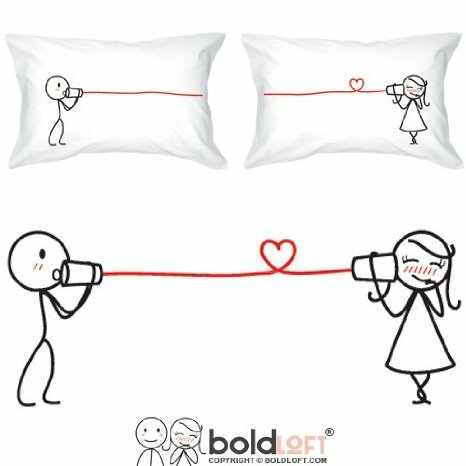 “Say I Love You” His and Hers pillowcases. Ok, is this not adorable? This would bring a big awwwwwe out of my mouth if I was given this as gift. Super sentimental. Definitely would pull at my heart strings! Find more gifts like this click here. 2. Handmade Spa Bath Bomb Fizzies. Ooo pick me! If my husband gave this to me, I would seriously be so appreciative. This gift not only says, “Take the day off you deserve it,” but it also tells me that he is aware of me and my needs. 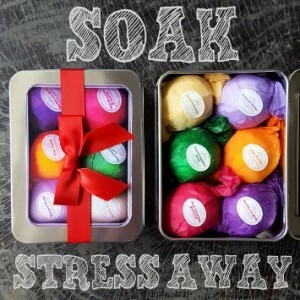 So if your special gal gets easily stressed, this is the gift for her! 3. Champion Women’s Absolute Workout Leggings. 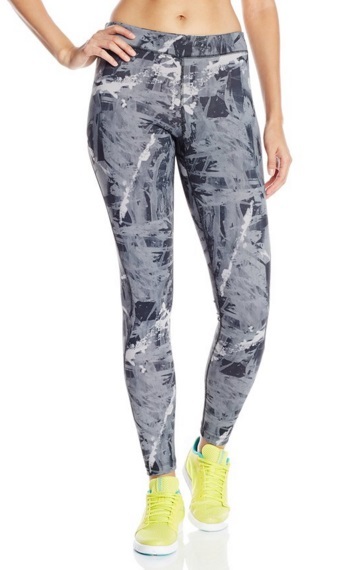 Not only are these exercise pants cute, but they are comfortable! Almost any girl would love some type of comfy pants whether it be for exercising or for lounging around the house! 4. 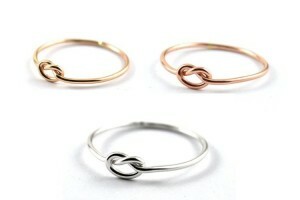 Love Knot Rings. Most girls are all about the sentimental gifts. These rings scream sentimental. 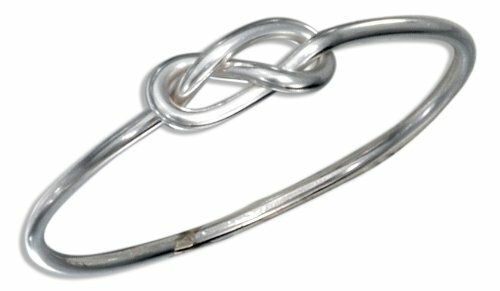 The love knot ring is a symbol of love. When she wears it, she will remember you and smile. The Infinity Knot Rings are also one of my favorites! Stance Socks. Check. These. Out. What a fun gift! Men tend to have some level of love for their socks. 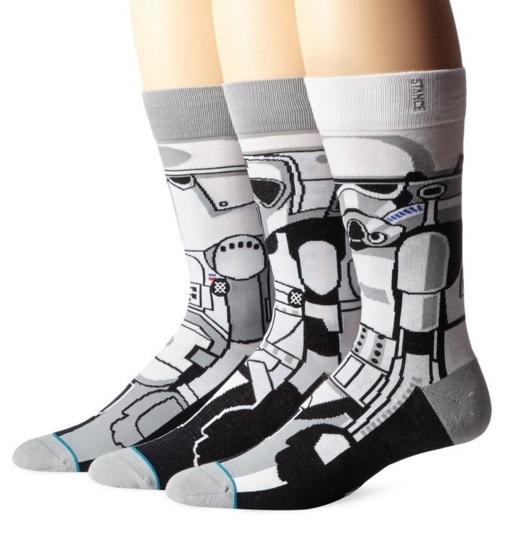 Stormtroopers, Vader, Yoda, or even something completely different, Stance has some pretty creative socks. 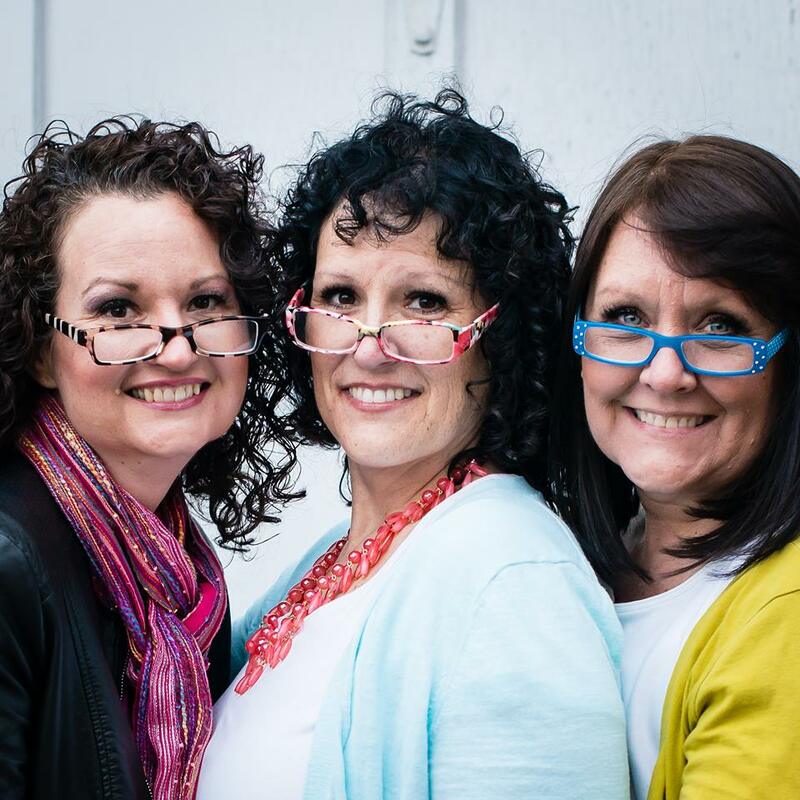 You’re sure to find some that fit your man’s personality! 2. 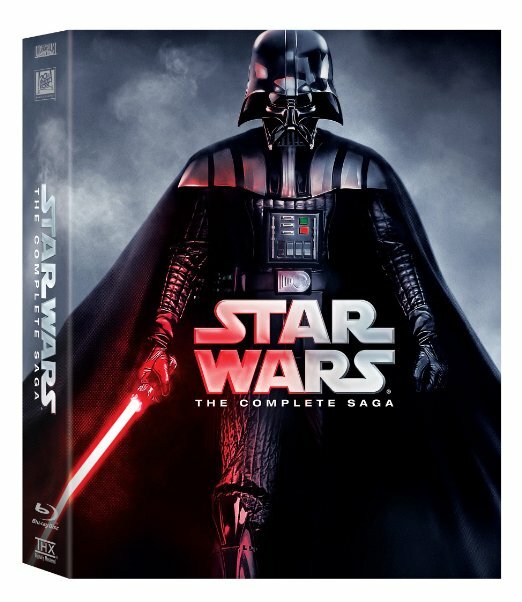 In keeping with the theme, Star Wars: The Complete Saga DVD Set is a great gift to add to your movie collection! You can never go wrong with Star Wars. However, if you are a Star Wars hater then you can always go with a different movie set. The Bourne Series is a great alternative, but hey, you know your man best. 3. 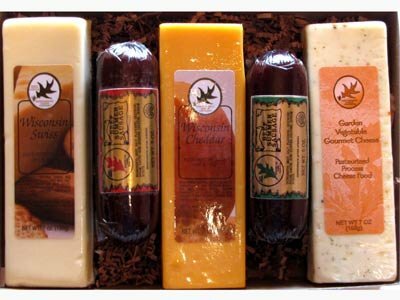 Summer Sausage and Cheese Wisconsin. If I gave this to my husband, he would just melt! Something about summer sausage and cheese makes his day. This is a simple gift to get to his heart through his stomach! 4. I Love My Awesome Wife T-shirt. This would be such a funny gift! 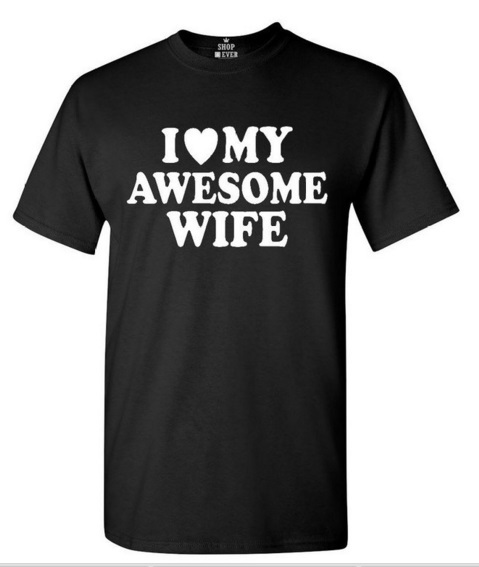 You can find other shirts that say girlfriend etc. as well. 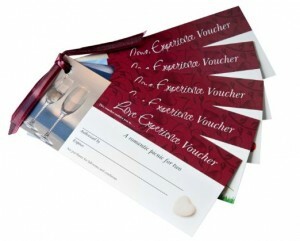 It is a gift for you and for him! Need I say more? 5. Make him a dessert! After he comes home from a long day, surprise him with a yummy treat. 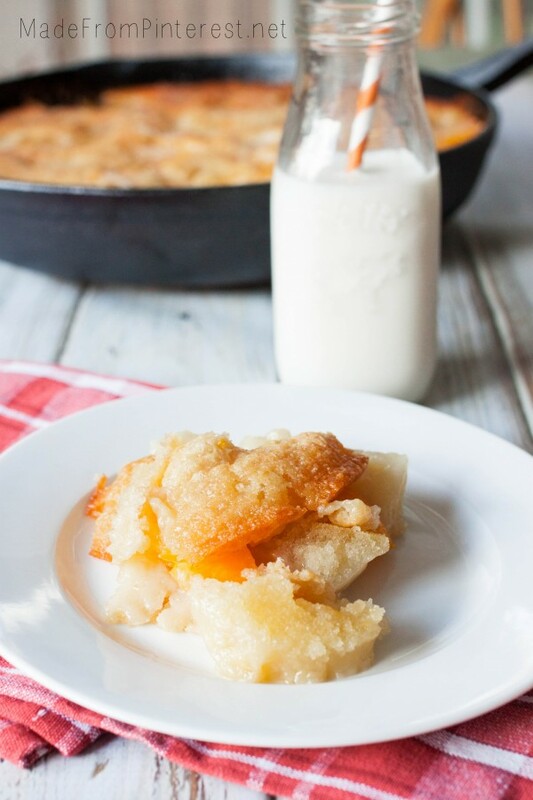 Try making this Two Two Easy Peach Cobbler from Sheri at Made From Pinterest! You will find the skillet you need here. You could even do a different cobbler by making it chocolate with cherries! These Twix Cookies are also a personal favorite… Homemade desserts are a great gift! 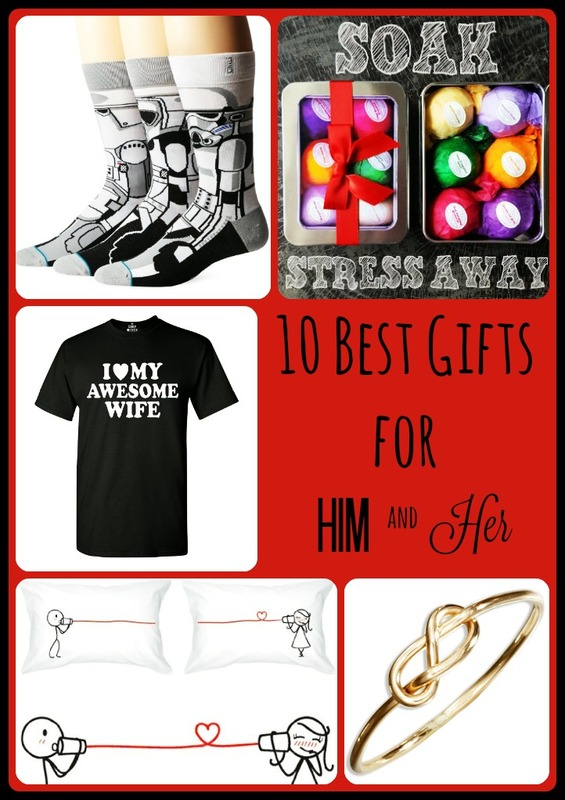 That wraps up my list of the 10 Best Gifts for Him and Her! Happy Giving!